Airtel Free YouTube Streaming is the latest offer from the Smartphone Network. This is coming in spite of data rate increment by other competing networks. This double Data plus YouTube bonus promises better data allowance especially for those who prefer streaming YouTube and other online videos from different websites. Details of the Airtel YouTube Plus data plan shows that Airtel is keeping its data rate at 1.5GB at N1000 while other network like MTN had already hike it to N1200. Also when you subscribe to the Airtel Free YouTube streaming plan with N1000, you get an additional free 3GB for you to stream YouTube between the hours of 1am to 5am everyday for 30 days. This means you get 4.5GB on Airtel [Normal Data + YouTube] for just N1000. 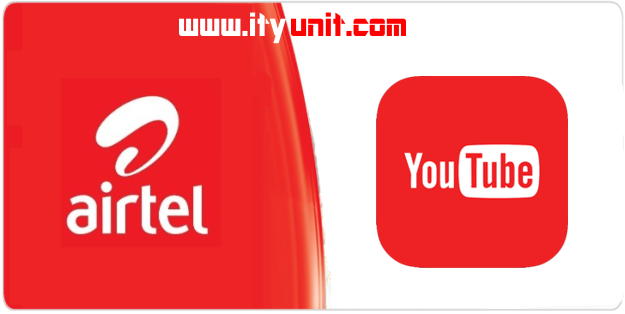 For all YouTube lovers, this is the best plan for you as instead of getting normal 1.5GB for N1000 for the normal airtel subscription without double data, you can now get an additional free 3GB to stream movies and music videos at night.